In 1883 Adolph Hegewisch opened a factory near the rail yards at 135th Street and Brandon Avenue. Sub-dividers soon followed. 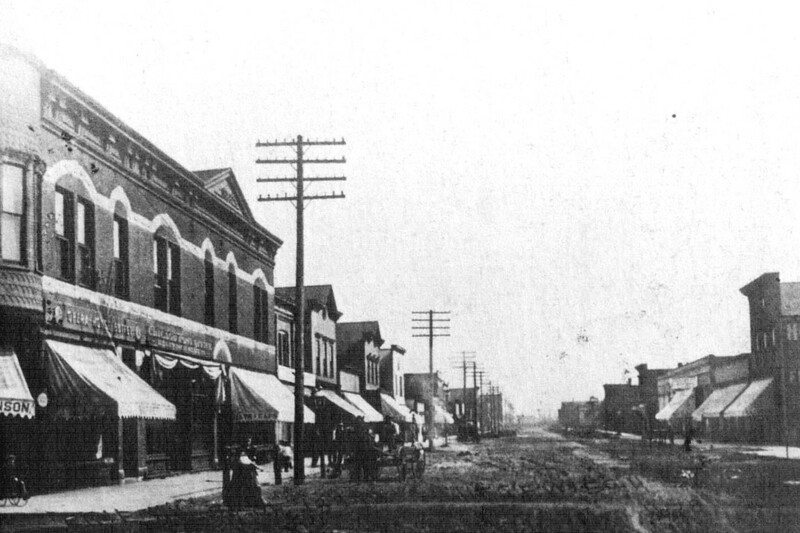 By 1900 the neighborhood had been annexed by Chicago, and Baltimore Avenue had developed a fledgling commercial strip. In our time Mr. H’s factory is gone, but Chicago’s most remote community proudly bears his name. Many of the old buildings still stand along Baltimore Avenue. 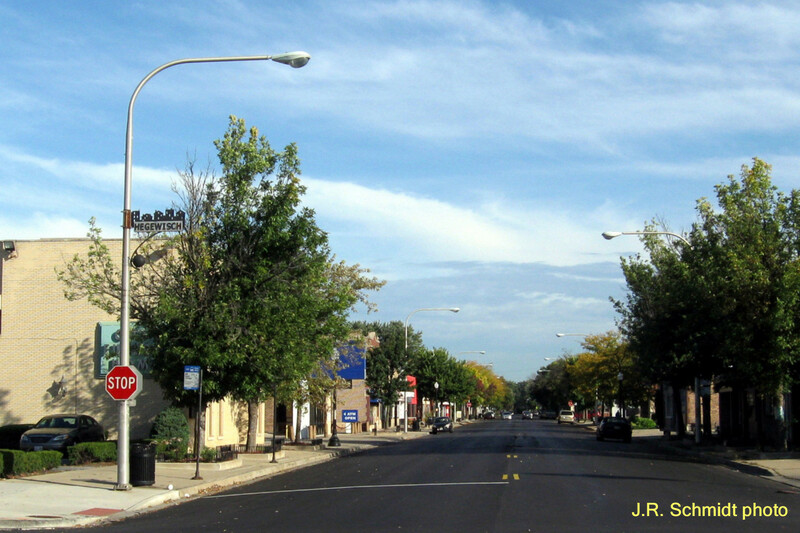 Trees, vehicular and pedestrian street lights, decorative signs, and repaving are features of a recent spruce-up.